The Chilling Adventures of Sabrina has returned to our screens for a second season following the success of the Netflix Original’s debut. The dark reimagining of Sabrina the Teenage Witch is now even darker and more magical than ever! This season delves into the more intriguing aspects from the first series, as Sabrina begins her training at The Academy of Unseen Arts and discovers more about her family’s past. After signing her name in the Dark Lord’s book, Sabrina (Kiernan Shipka) finds herself struggling to balance her life in the mortal world with her new life at The Academy of Unseen Arts. Much like the first season, we see Sabrina trying to forge her own way in the world, questioning the archaic traditions and practices of the Church of Night, particularly challenging the actions of High Priest Father Blackwood (Richard Coyle). The season starts to delve into Spellman and Blackwood family histories and how they connect, which is thoroughly enthralling and I can’t wait to find out more. Particular highlights of the first five episodes include the standalone entry ‘Doctor Cerberbus’s House of Horror’ which has a strong semblance to The Simpson’s Treehouse of Horror halloween episodes, and also ‘Blackwood’ which ended on a truly gripping cliffhanger! 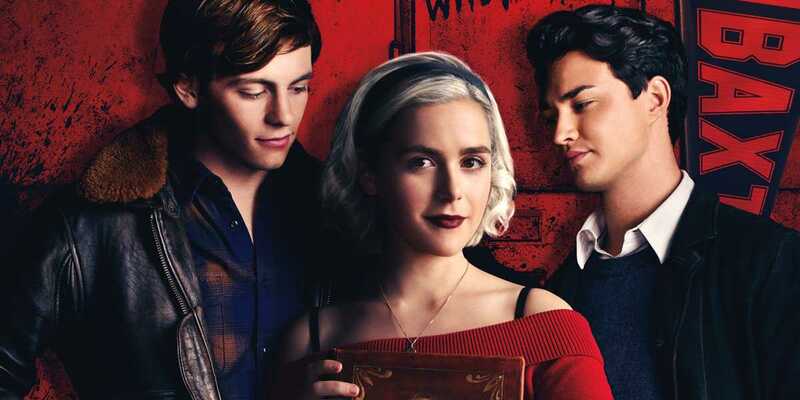 The least captivating storyline however, is that of Sabrina’s friends; Roz (Jaz Sinclair), Susie (Lachlan Watson) and former high school sweetheart Harvey Kinkle (Ross Lynch), which unfortunately just isn’t as interesting as that of her witching life. Fortunately, the show appears to be aware of this and tends to focus where the interest lies. 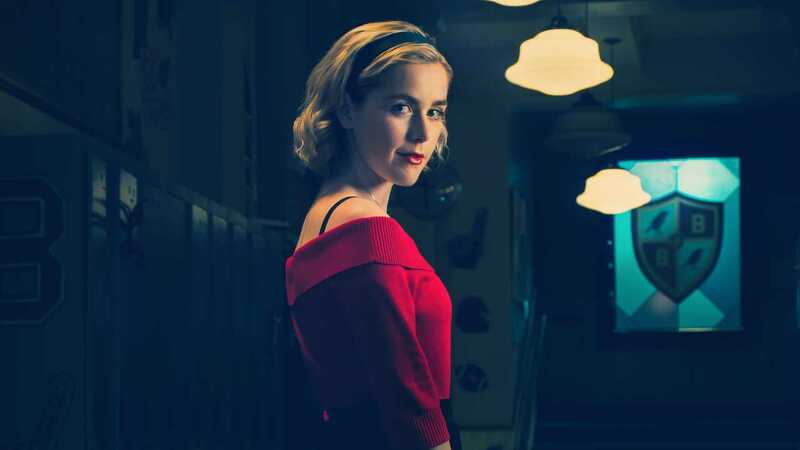 It’s great to see this fantastic cast return; Kiernan Shipka is once again brilliant as the titular character, bringing a more defiant and feminist stance to the role. We’re particularly fond of Lucy Davis’s loveable Hilda Spellman, so it’s great to see that she gets her own distinct arc this season, as well as the other members of the Spellman family – Zelda (Miranda Otto) and Ambrose (Chance Perdomo). But my standout favourite still has to be Michelle Gomez’s Madame Satan, who you can tell is just having a blast in the role! It’s also great to see Buffy the Vampire Slayer and Angel star Alexis Denisof joining the show. My favourite part of the first season of Chilling Adventures of Sabrina was the stylishly dark cinematography, eerie sound design and gothic aesthetics and I’m happy to report that this season continues to deliver! There’s more magic, monsters and gore as this season focusses on the occult events at the dark Hogwarts-esque Academy of Unseen Arts. It’s great to see the brilliant production designer Lisa Soper returning for the second season, there continues to be rich set design and strong supernatural imagery, particularly in episodes ‘Lupercalia’ and ‘Doctor Cerberbus’s House of Horror’. 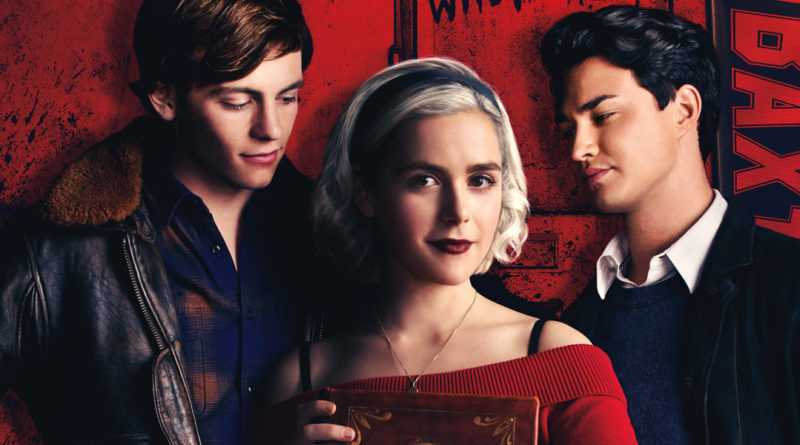 Chilling Adventures of Sabrina part 2 debuts on Netflix on April 5.